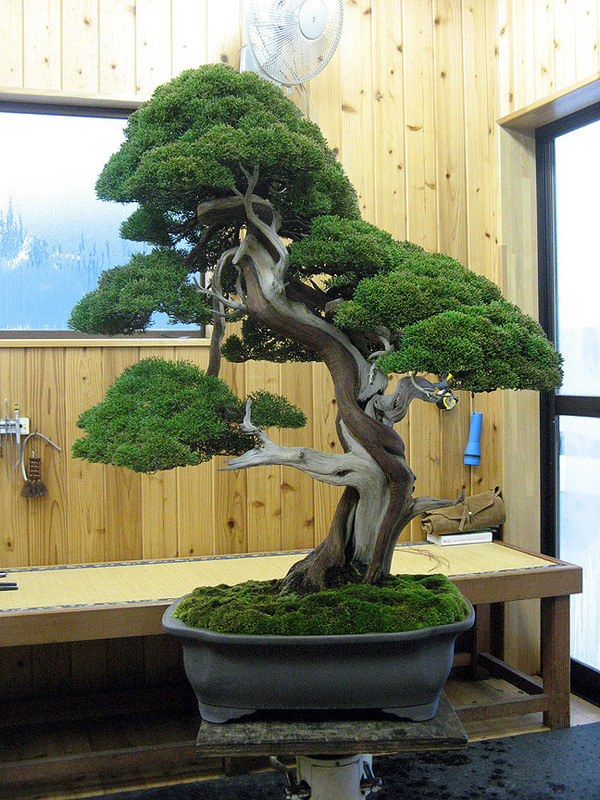 This was the second tree I wired for the Kokufu show, shortly before the end of my stay in mid-January 2011. The challenge with working on juniper is to not overwork them so that they look controlled and rigid, but to retain that soft billowing feeling in the foliage masses. And yet… get the foliage masses where you want them. Tricky. Before wiring. Apologies for the backgrounds in these photos... sometimes you don't have time to move things around for a better shot. After wiring. The changes were slight; tightening up some areas, lowering the bulging foliage mass on the right, removing dangling foliage. As ever, the trick is knowing what to adjust and move, and what is fine where it is. WOW! I love how the live vein is pumped up and looks like the trees muscles. I would imagine this tree was collected a long time ago and has been worked on many years. Manipulating the foliage to keep that soft billowing feeling is on a whole other level, hopefully I can get there someday. 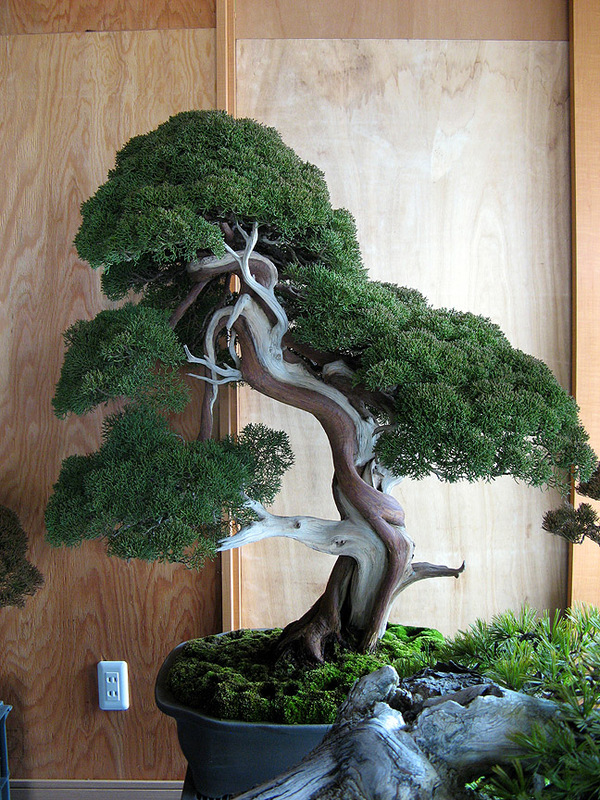 Do you think the foliage on our native junipers should look something like this, I mean have a soft and billowing feel? Or because they are not as tight should our native junipers have a slightly different feel? And what should that be? Also, should the end goal be to get our native trees as tight as possible? mainly talking about-Rocky M, CA, Sierra, western, etc. maybe that was too many questions. Tree looks phenomenal! Thank you very much for sharing, look forward to seeing more. Ya, our own junipers should be of that same feeling, they all have similar characteristics, and soft and billowing is the natural growth of the foliage when it slows down metabolically. They will all look a little different, but I don’t think we should impose a feeling on them but let the foliage figure itself out after we’ve set the branches. The minor differences in ‘feel’ will be all we would need. Tight foliage is good, to a point. Some individual trees will tighten considerably; others never tighten up. Larger trees don’t need as tight a foliage, or bunjin. If the foliage is really bad, dangling coarse, you could always graft. Maybe just a better foliage of the same native tree species.